Ejecta scours deep grooves into the walls and rim of an unnamed crater, located northwest of Henry Frères crater. Image width is 600 meters, illumination is from the left, LROC NAC M148563335L. 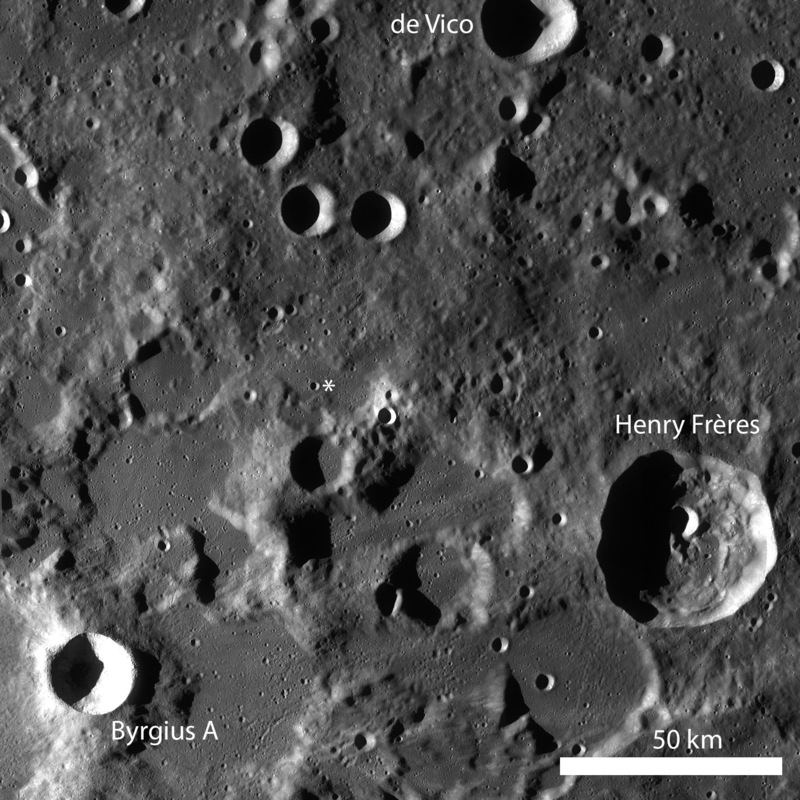 Typical highland lunar landscapes are heavily cratered, and the craters that mark the surface provide a record of the impact history for that area. Today's Featured Image highlights the effects of discontinuous ejecta (which forms secondary craters) on the lunar surface. When material is excavated during impact, much of that material is deposited very close to the crater -- generally within 1 crater diameter. This material is called the continuous ejecta blanket. 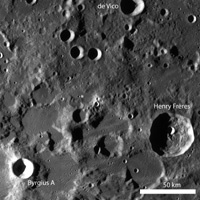 However, most impacts are so energetic that ejecta is deposited not only near the crater but also much, much farther away. This far-reaching ejecta is part of the discontinuous ejecta blanket and is responsible for forming secondary crater chains, clusters, and rays. The erosive energy of the secondaries is quite large - in the opening image, ejecta scoured the wall and rim of the crater, leaving behind deep grooves.